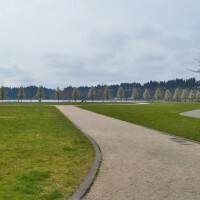 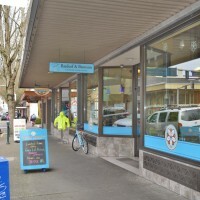 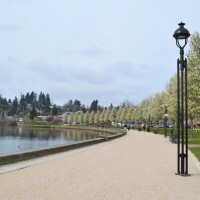 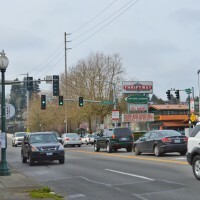 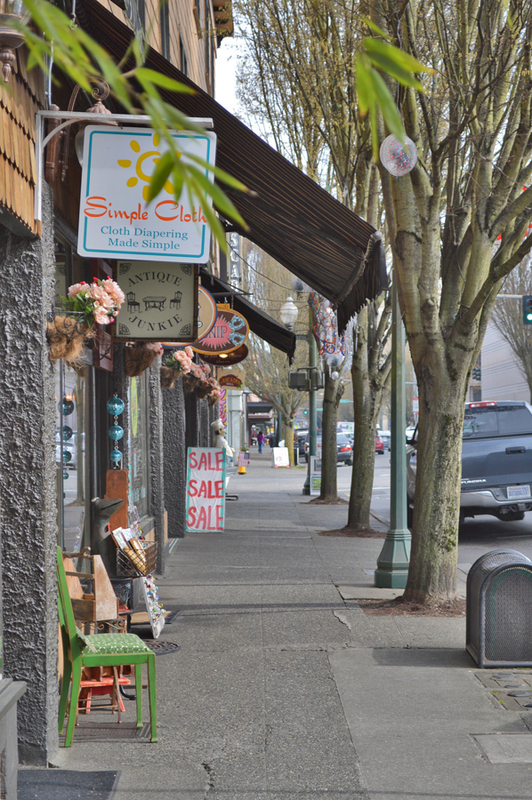 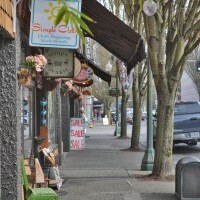 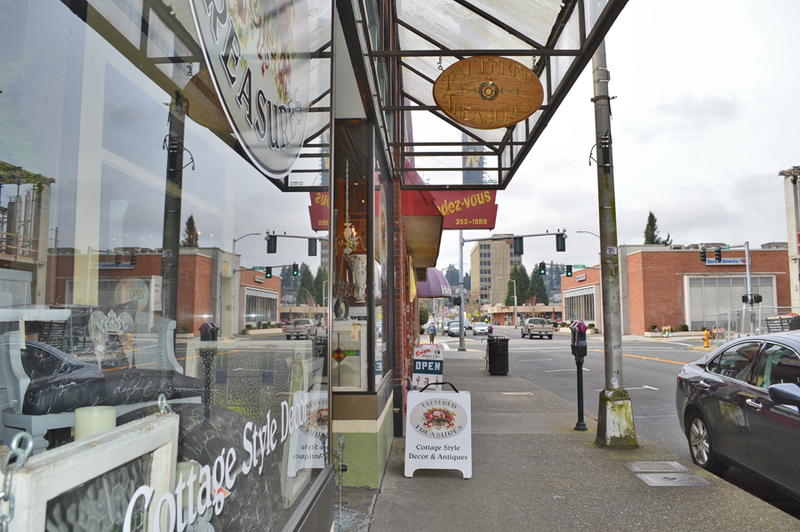 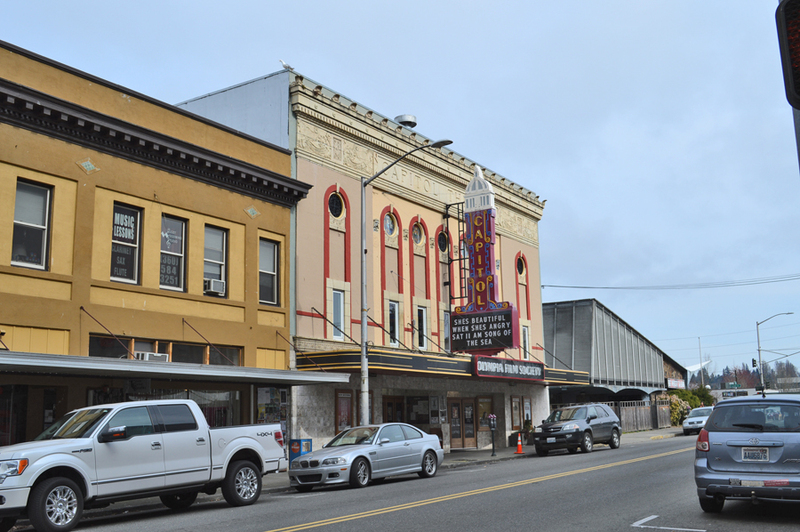 Located in south Puget Sound, on the Budd Inlet, Olympia is home to a population of 49,000 residents across approximately 20 square miles of land. 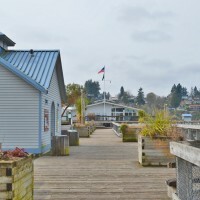 Originally home to Coastal Salish Indians, including the Nisqually, Duwamish and Squaxin Tribes, this area of the Nisqually Delta was known for its verdant forests, amazing wildlife and bird estuaries, salt water and fresh water fish; as well as its abundance of water including the Deschutes River. 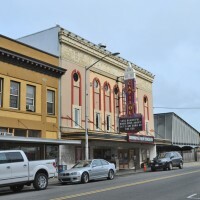 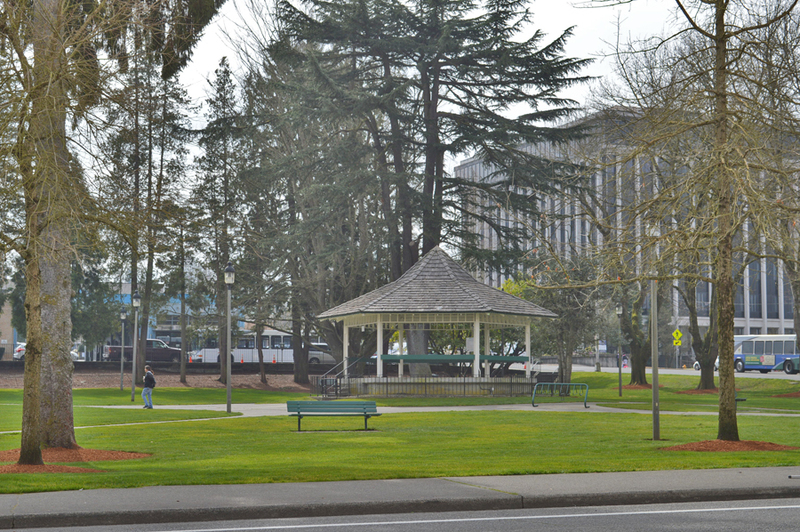 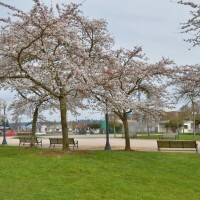 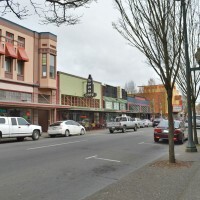 When the Washington Territory broke off from Oregon in 1853, the Olympia area became known as the capitol of the territory even though the City would not legally be incorporated until 1859. 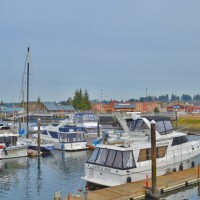 As the white settlers became dominant in the region industries such as logging, lumber mills, fishing and boat building emerged. 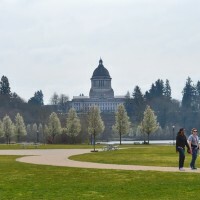 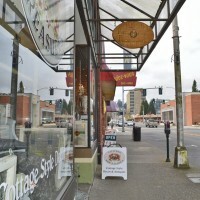 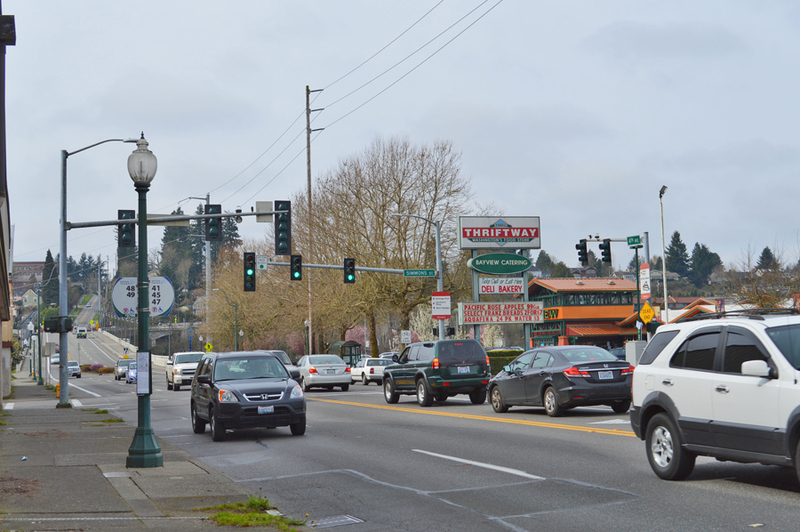 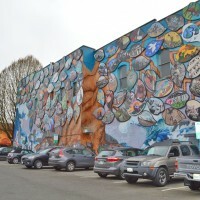 Although there are still remnants of all these industries in Olympia today, the commerce of government is now the mainstay economy for the state’s capitol. 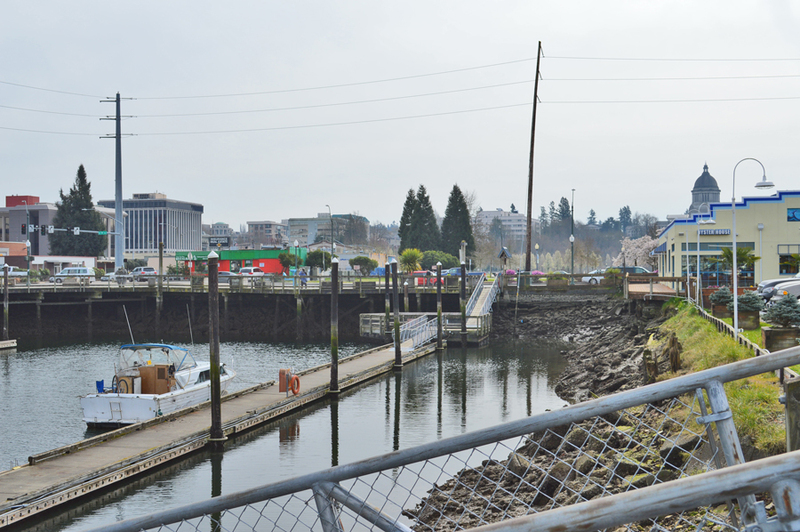 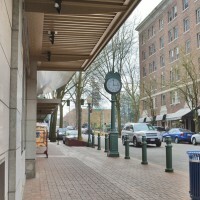 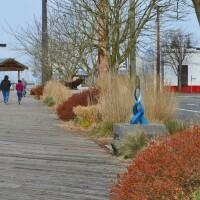 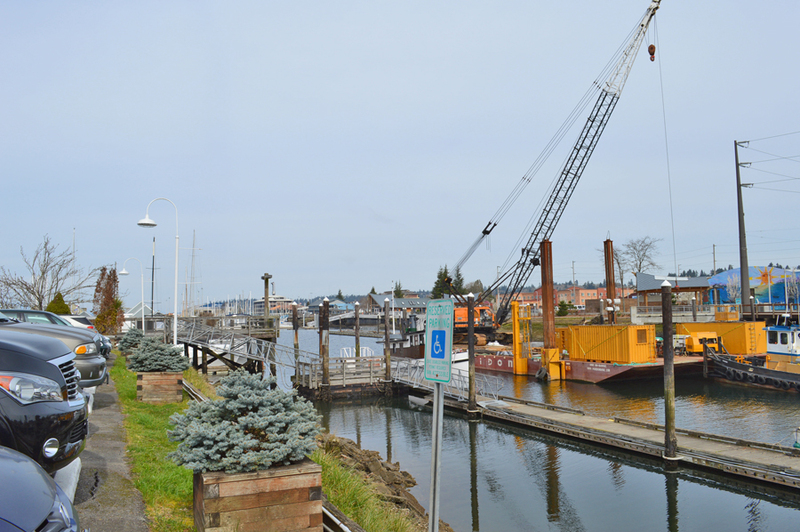 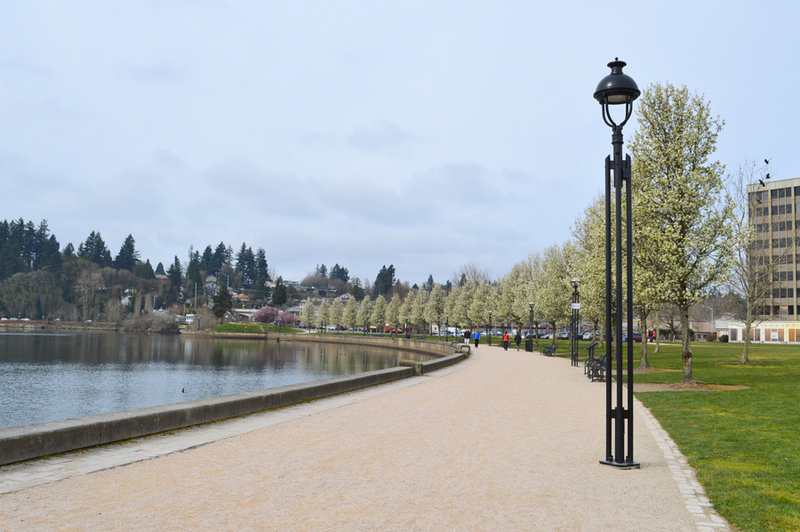 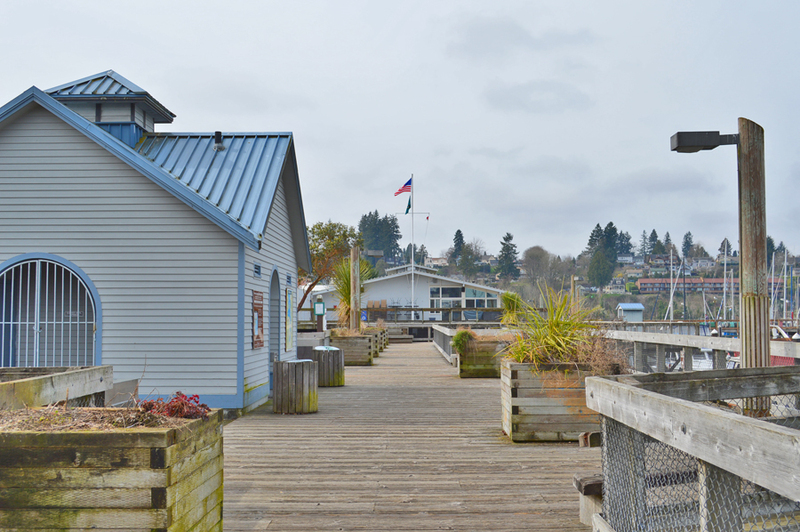 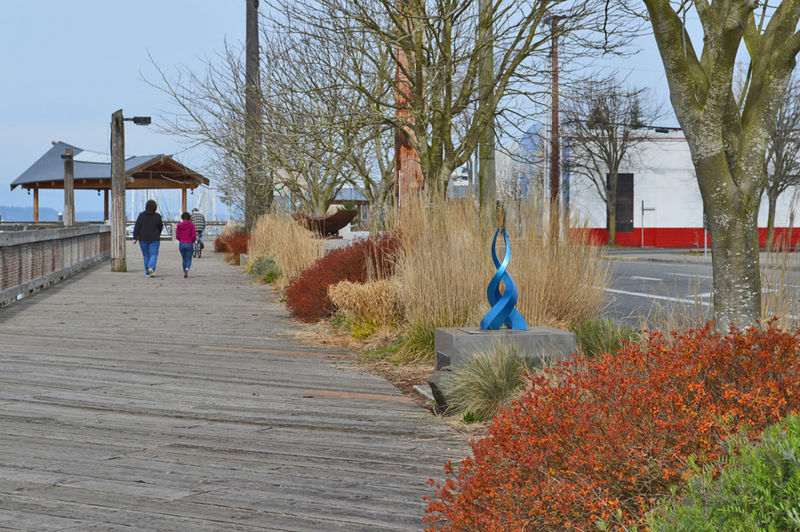 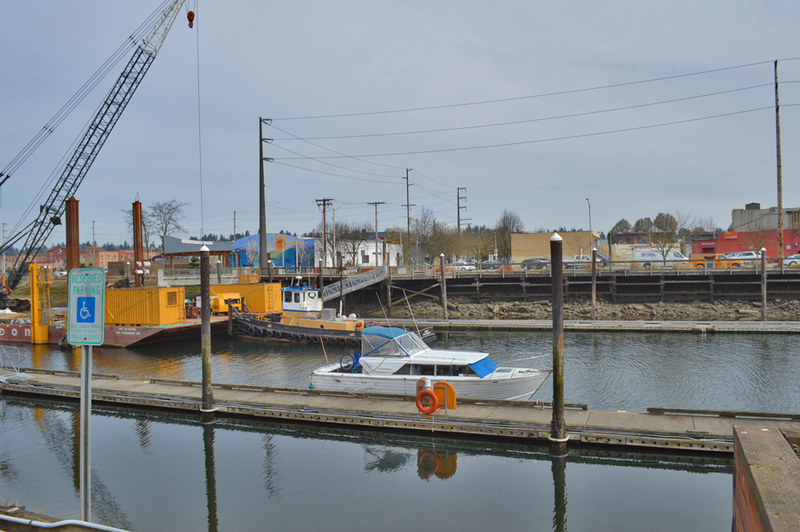 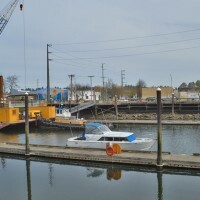 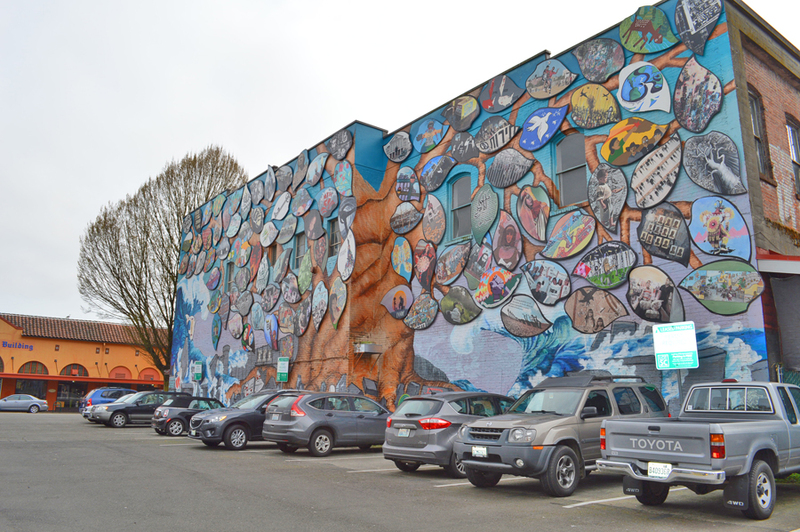 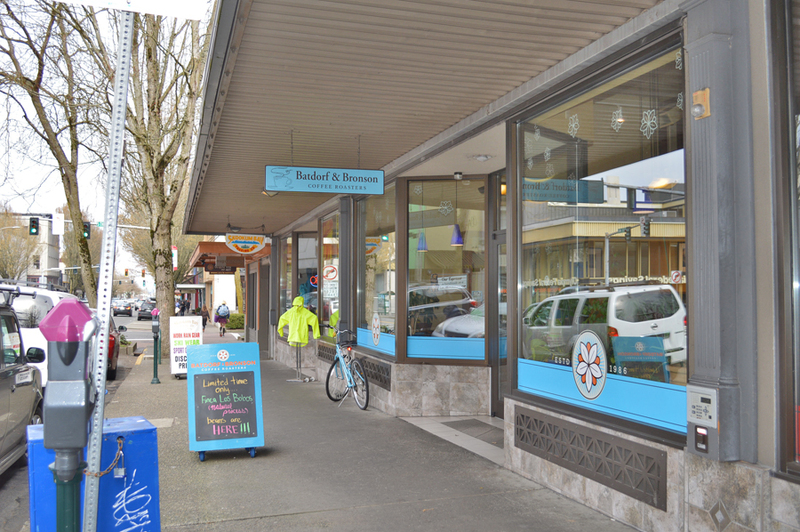 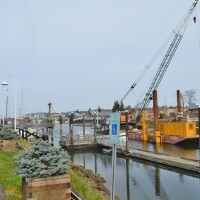 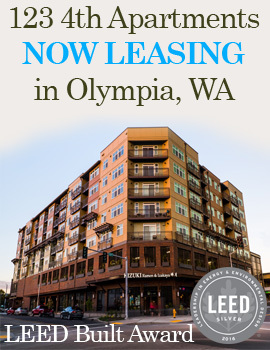 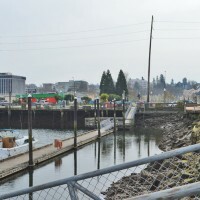 Olympia celebrates its active seaport and recreational waterfront. 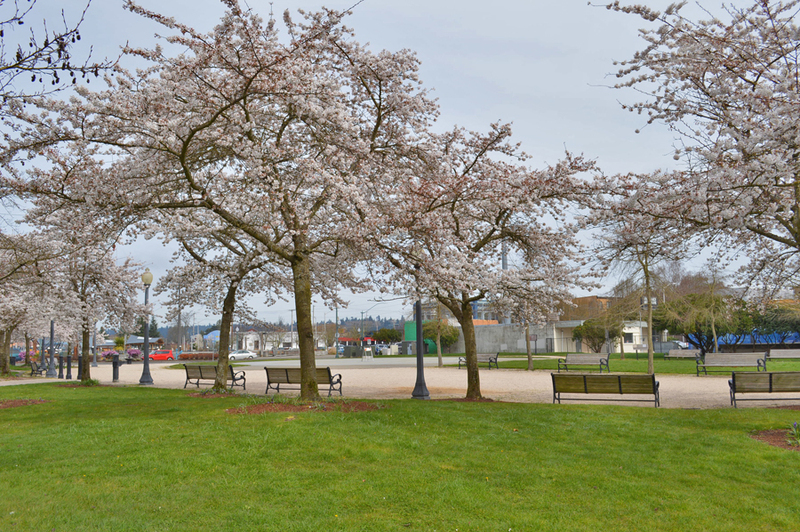 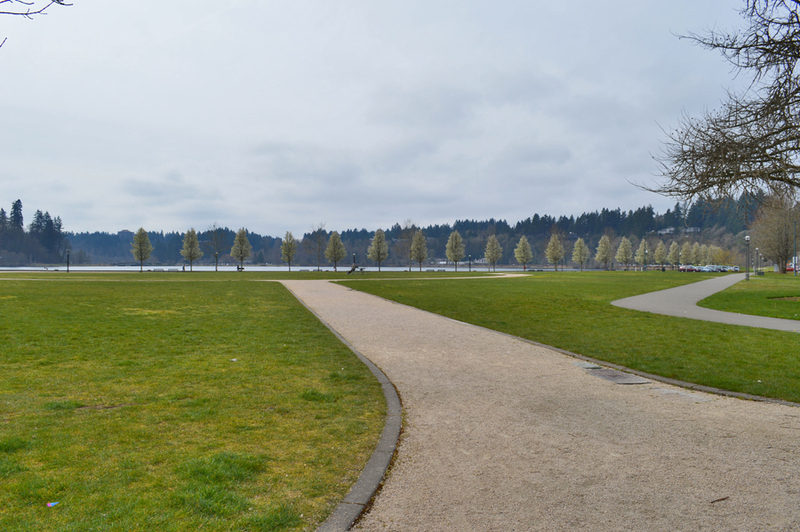 It boasts over 40 city parks including Percival Landing which is a short walk from 123 – 4th Ave Apartments. 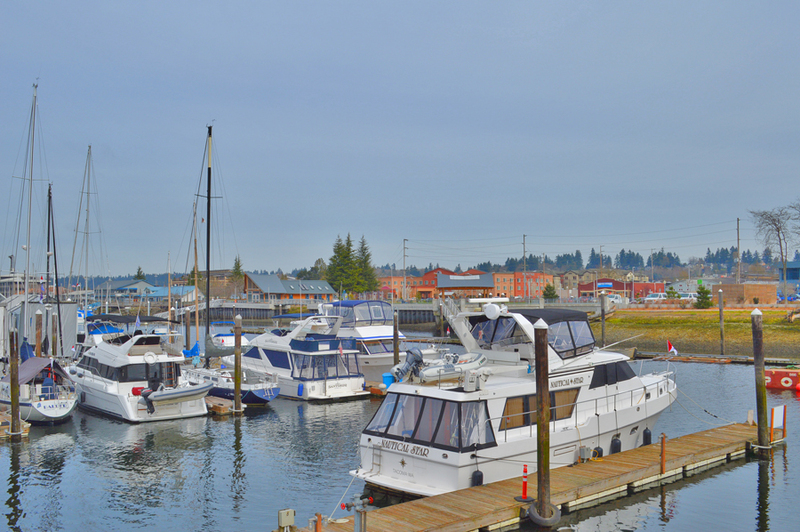 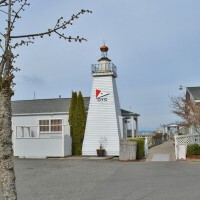 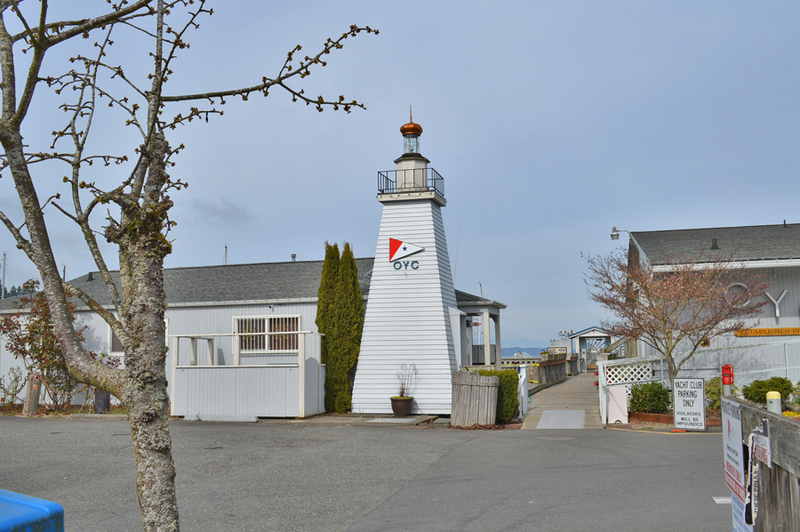 Percival Landing is a popular tourist destination and a great example of the active harbor in the heart of the city. 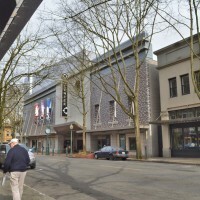 114 – 4th Ave in 1914 and now home to the Spar. 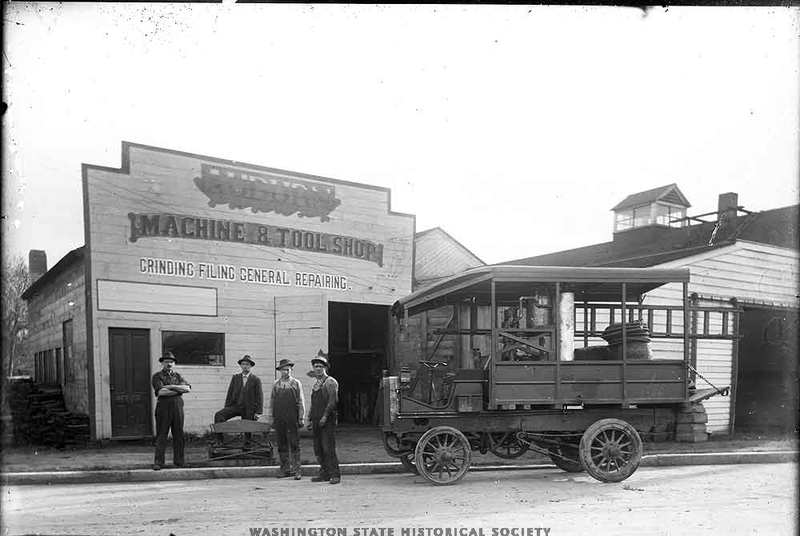 Historic Image courtesy Washington State Archives; The Spar courtesy of Wikimedia. 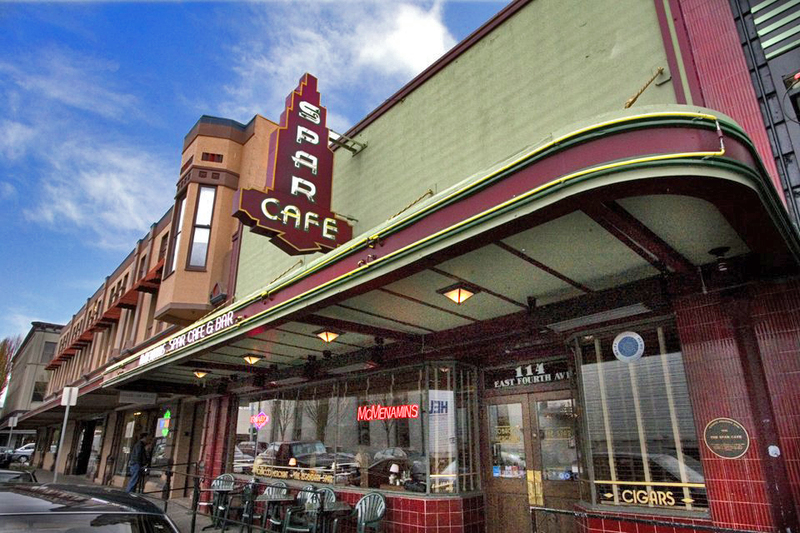 Although the historic district is home to dozens of historic structures, there is none more popular than the site of the Spar Bar. 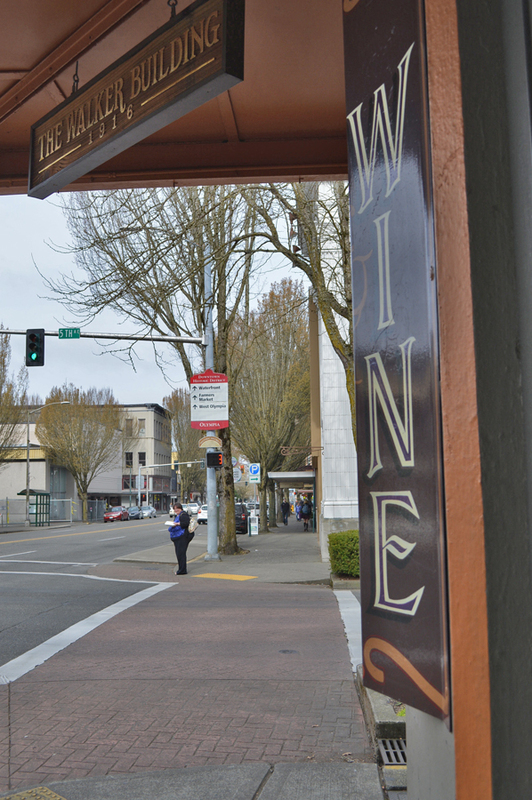 There has been a local “watering hole” there since 1860 starting with the Oxford Saloon. 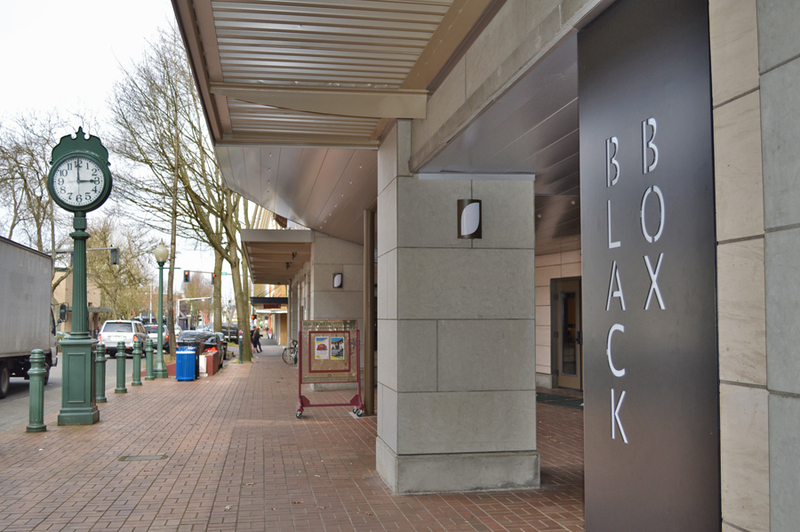 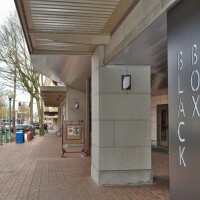 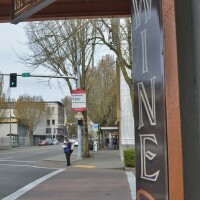 The bar is now run by the McMenamins restaurant chain, a Pacific Northwest brewing company known for its artisan beer. 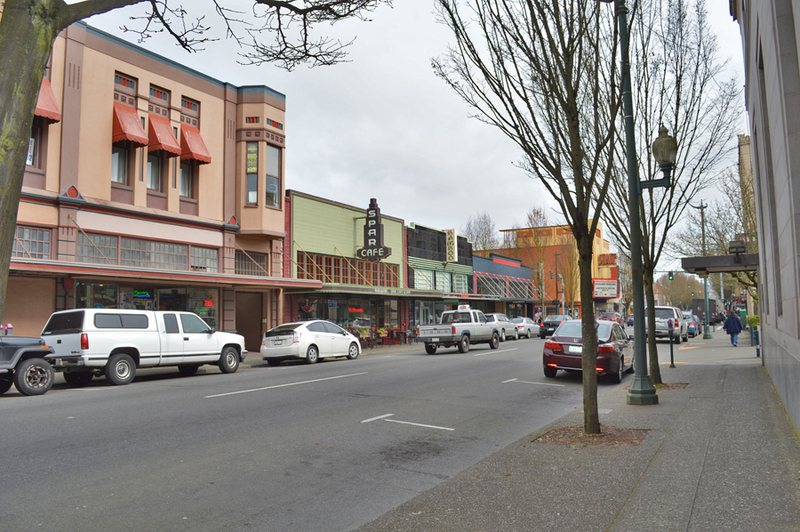 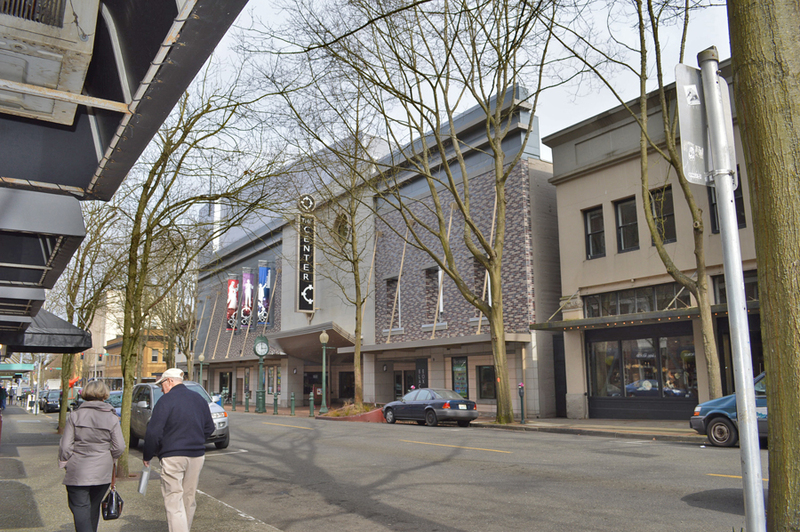 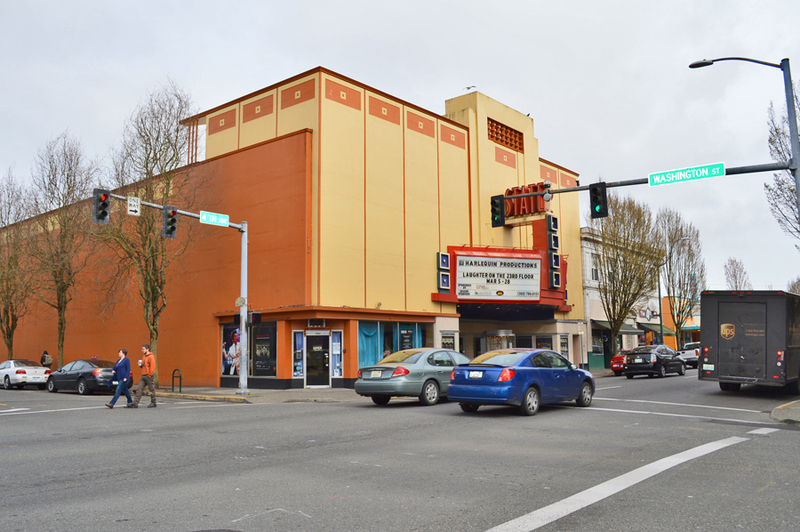 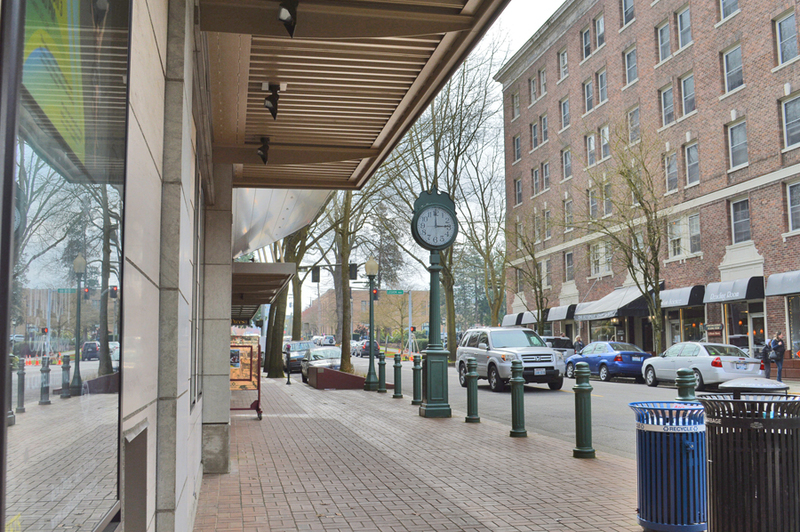 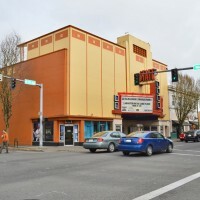 The Spar boasts its original water fountain, which can still pump 11 gallons per minute fed by one of Olympia’s thousands of artesian wells that is located below the building. 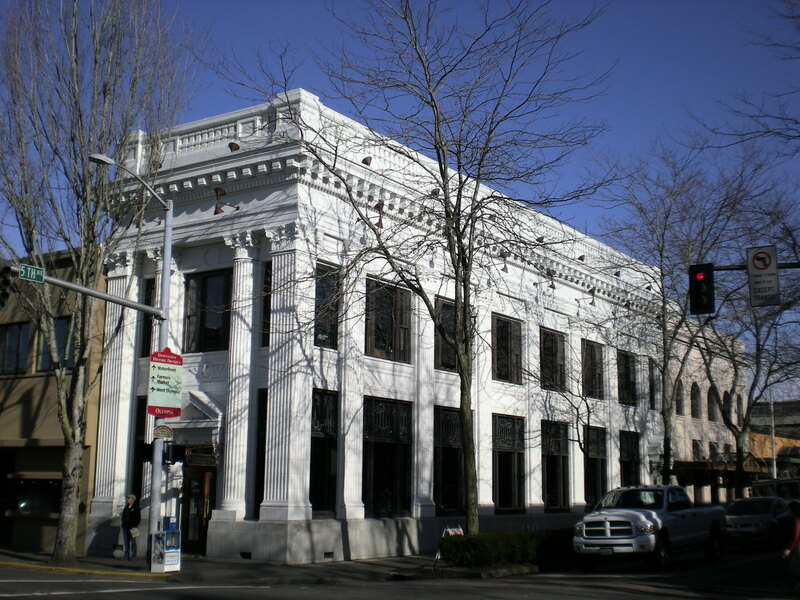 The First National Bank Building is just a stone’s throw away from 123 – 4th Ave Apartments and is one of the more prominent buildings to remain intact in the historic district. 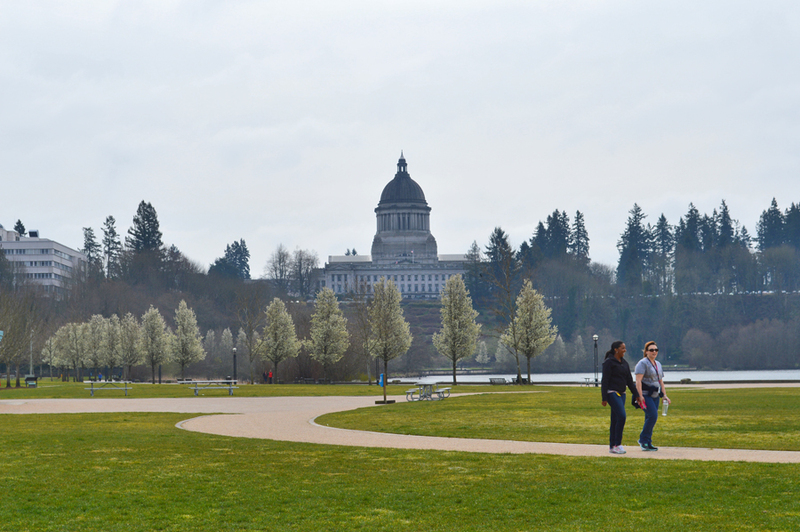 The Capitol Building and its stately dome started construction in 1890, but due to various budget constraints at the state level it wasn’t actually finished until 1928. 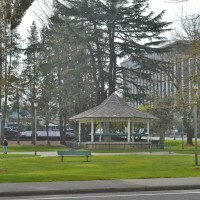 Since 1970 the Governor’s mansion has been owned and operated by a non-partisan non-profit foundation and is run as a museum open to the public for tours. 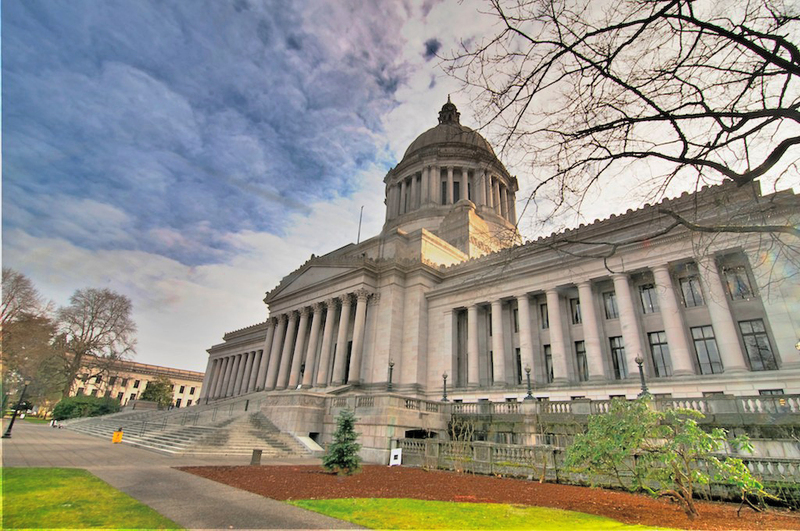 The Governor and their spouse actually live in an apartment on the second floor.